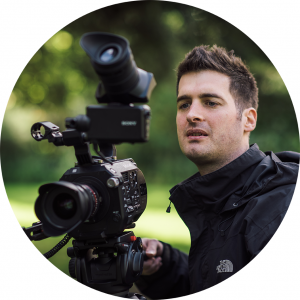 I’m a multi-disciplined filmmaker with over 14 years experience working across TV, film and content marketing. Working collaboratively with creative agencies as well as directly with companies, charities and individuals I specialise in creating shortform branded content, mini-documentaries and event films. Working as cameraman, editor and director (or any combination), I usually edit the footage I shoot. With a passion for cinematic, documentary-style storytelling I bring enthusiasm, thought and creativity to all my work. Developing ideas, refining your film brief. Capturing footage, creating beautiful images. Working with footage to tell a compelling story, adding sparkle to your film. I’m not a production company and don’t pretend to be. My approach is collaborative and I ‘plug in’ to projects as needed, budgets and scope of work will often dictate this. When required I use a network of suppliers and collaborators; their support can range from sound mixing and design, second camera, lighting, to more specialist expertise like 3D-animation or aerial cinematography. All the people I work with share a similar outlook and commitment to quality. To me, the term ‘corporate video’ conjures images of dated, dull, hard-sell promotional videos with cheesy graphics and music. Conversely, to me a film is something that’s been crafted, has a certain look and feel about it, and is of quality. Although the work I produce almost always has a marketing or promotional purpose, the aim for me is for it not to feel like that when you watch it. Little things contribute to this. It’s about cinematography and editing style as well as crucial tonal considerations like colour, soundtrack and sparing use of graphics and typography.